Recent advances in technology are making physical security more powerful and affordable than ever. From wearable video surveillance that collects data in real time to social media monitoring and alerting tools, there have been many exciting advances in recent months. But what do these changes mean and how will they impact users? Learn the answers to these questions and more in today’s blog, below. Physical security is more advanced and affordable than ever. 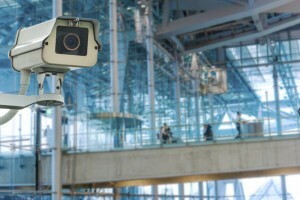 As video surveillance technology advances become more ubiquitous, many companies are attempting to get an advantage over the competition by offering lower price points on their products rather than focusing on innovative bells and whistles. Fewer features are being included on newer product models and cost is driving most developments. These cost reductions are making VMS and camera product equipment more readily available to a larger market, which allows organizations to save money on their technology costs or receive better quality products for their budget. However, in the long-term this trend could have a negative impact: Because companies are focused on cost efficiency over innovation, funding for R&D is stalling which may have an impact on long-term technology innovations. An emerging trend in the security field is social media monitoring and alerting, which allows security managers to aggregate social media data and filter by location or keyword. Sites such as Instagram, Facebook, Twitter, and Google+ can be mined for relevant information and alerts can be set up for certain keywords or other content. This is especially useful for organizations such as school systems which can monitor social media use for indications of drug activity or planned chaos. In a political climate that is calling for greater police accountability, wearable video surveillance is an emerging answer. Body cameras allow for real-time collection of interactions, which can prevent the need for justifying and validating police actions to local communities. Police departments across the country are beginning to invest in this technology, signaling that this trend will only continue to grow. This entry was posted on Thursday, December 17th, 2015 at 2:10 pm. Both comments and pings are currently closed.